Taking software development to the next step. An incorrect development cycle leads into inefficiency and high costs. We know what this means when we work developing mobile technologies, since there is an strict need to coordinate with more teams that deliver services to our applications. 1.- Is not possible to test services that update an object in the server, such as PATCH or POST. We only receive the Mockups. 2.- We cannot filter requests based on different parameters (i.e., the content being sent is always static). We will introduce it with a very short example from a Coursera course. Let’s gonna create a basic blog application where we can store posts, and comments associated to those posts. NOTE: RoR requires a set up on your computer that I will not cover in this article, but you can easily find instructions on the Internet. This will create a folder with the basic structure for the application. Those two lines add the entities to our RoR application. We still need to add an association to them (a post can contain several comments). Let’s check in the folder of the application /app/models. There are two files, one for its entity. We will specify here the association between the models. We will specify also that, if a post gets removed, the comments associated must also be removed. Finally, with the following line we will transport those changes into our database schema. By default we can see it in http://localhost:3000/.Wwe can add posts or comments to the URL to display the particular entity. With only a few clicks, we have been able to construct a fully working application, with all the HTTP methods associated to them. If we type in the console rake routes all the routes and Entry Points of the application are displayed. 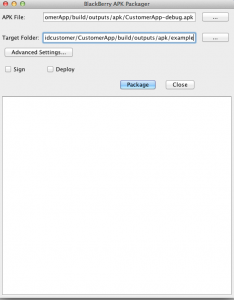 Posted in Android, Java, Objective-C, Xcode | Enter your password to view comments. Most of the applications in the Market store credentials (let it be username/password or a hash) in the application to avoid prompting the user continuously asking him for the authentication. While being a good pattern to make the application usage more fluent, it is not exempt of security risks. 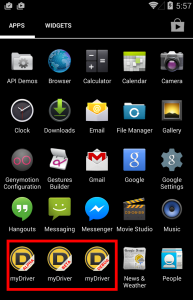 Android provides different options to store data from an application. From all those, the SharedPreferences seems to be the most adequate to store credentials: it stores primitive types in an XML file, which is in principle saved in the application package folder and hidden to the user in most cases. A device that has been rooted, however, can access this folder and retrieve the SharedPreferences files, exposing the credentials if we have chosen to store them this way. This problem also affects integrity of another applications, and allows operations such as game cheating. Srinivas proves in his blog how is possible to edit the score in Stick Cricket and submit a modified one to the server. A rooted device always makes security harder, but we can ensure that our authentication is securely stored by combining a few techniques. Encryption is the first thing that comes in mind, but if we want to encrypt we might need to use a key, that also needs to be stored somewhere else. NDK comes here into the scene: we can store using native code the key or sequence we will use to encrypt our data. Let’s see it step by step. Now we can easily retrieve our key and use it to encrypt our data. Security is never granted and never absolute, so the solution is to always take smart design decisions and use all the available tools to prevent unauthorised usage of our applications or systems. By applying this technique you can ensure a high level of security for your application credentials! 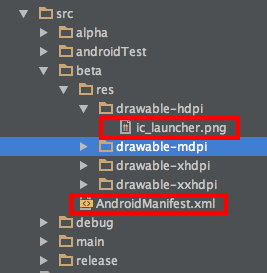 Android and iOS have two different peculiarities when it comes to I18N: they present different file formats. Google platform uses XML, whereas Cupertino’s uses CSV files. Lately we came to a problem to unify some of out I18N resources. In order to do that, we wanted to have a unified format to easily compare whether the strings where correctly modified or not. This Ruby script was designed to export Android strings into a .CSV file (and therefore, really easy to script if you need to compare it with its Apple pair). Remember you need to install Nokogiri to make it work. Which city has the most intense Android scene in Europe? Moving now to different issues: I was discussing with some event organizers the possibility of bringing an Android event from the USA to Europe. Since I do live in Munich (and besides being a trendy mobile city, I think is a really cool place to organize such events), I was trying to convince them that Munich was the choice. They were resilient about it, so I needed to prove with some data that Munich would be a really nice election. There is a major preponderance of cities from Germany and the UK, with only 5 cities from different countries in the first 20 cities against 9 british cities and 6 Germans. Is not my purpose here to give a full sociologic analysis (i.e., many cities are from UK since StackOverflow is an English based community and there are other local communities in different countries – although 80% of the Internet documentation is English based), but to give a rough approach. So, now we have a bunch of cities with some numbers. 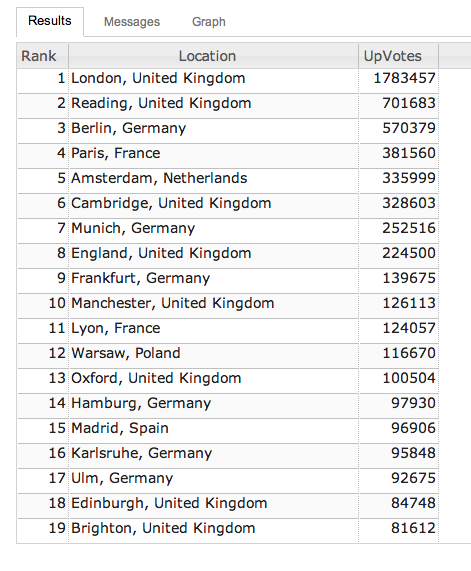 We still need to go through a normalization process (i.e., cities with more population will always have more UpVotes than cities with less population). Since StackOverflow does not provide statistics for cities population (is not either their task) I will correlate this values manually. 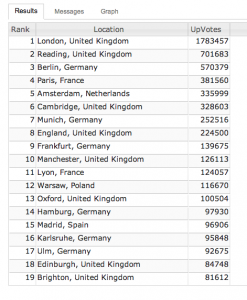 Thus, I will assign to each city the factor that determines the relationship between UpVotes and population. To get the population value, I did use Wikipedia. Ulverston, a tiny city of North West England, scores first in the ranking. It would be interesting to determine the reasons, since there is no known university or industry in the town. Probably a top user from StackOverflow explains it, but it can be discarded as statistical noise. For most of the cities, a value between 0 and 1 seems the norm. After this sampling Munich does not score that bad (although better in absolute terms). There are, however, a bunch of other different reasons to choose a place for a certain event (proximity to other places, infrastructures, communication, hosting prices, global number of possible attendants, etc). But after this little experiment, I can only suggest to organizers to move to the city of Ulverston (even if I still think that Munich offers a great beer). Follow me on Twitter @eenriquelopez ! This article is a followup to the original that can be found here. As a normal use case the original article provides a good way not to worry about increasing the version number. The only drawback is that the number is really increased every time you compile the source code. This results in jumping versionCodes in the commit history. 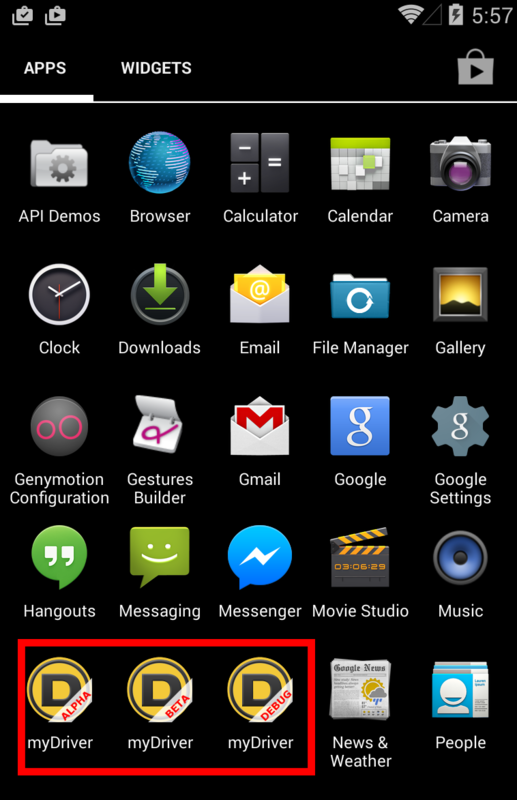 For instance lets say you checked out the App with the versionCode set to 3. After compiling the application for several times, until you deem it stable, you might check it in with a versionCode of 15. It would be more desirable to increase it just by one. To achieve this we are going to base our new implementation on the committed state of the AndroidManifest.xml (here for the DriveNow project). To incorporate this into the normal build process, we can basically use the same methodology we used in the original version. If we want to go a step further and don’t increase the version if we are running on our integration server, we can also alter the task definition a little bit. Running the build now with ./gradlew assemble -D buildConfig.keepVersionCode=true will build the project without increasing the versionCode. This will enable autocompletion for git commands and branch names and also show your current branch. Note that in the last line, you can change colours if you’d like to be different. 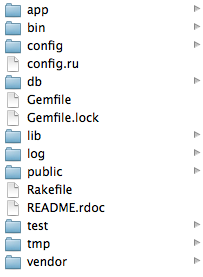 You may need these two files in /usr/local/git/contrib/completion.